By PROSYS Weida GmbH & Co. KG based in Weida, GERMANY. By W2O Environment Ltd based in Northampton, UNITED KINGDOM. By IL&FS Water Limited (IWL) based in Chennai, INDIA. By Adiss S.A. based in Maramures, ROMANIA. By Austro Chemicals & Bio Technologies Pvt Ltd based in Iduvampalayam (PO), INDIA. 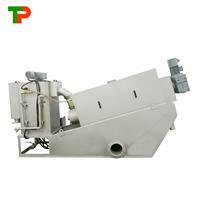 By Top Machinery (Chengdu) Co.,Ltd based in CHINA. The BF series bio-filtration odor control system and thermal oxidation systems are the key technologies of odor control solution.